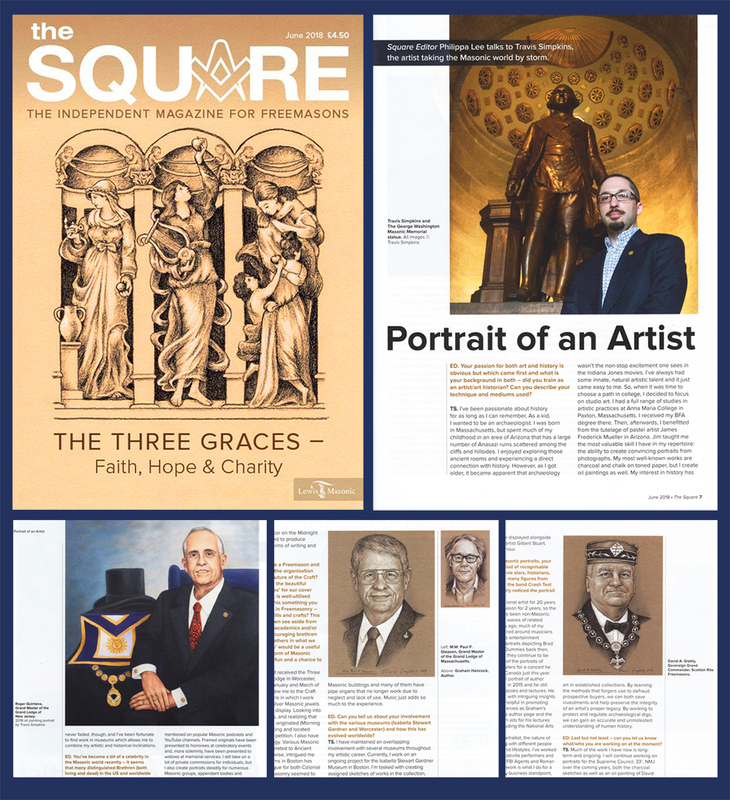 I'm honored to be the subject of a 4-page interview and to have created the "Three Graces" cover image for the latest issue of The Square, recently published in the United Kingdom. I had previously shared the cover art, but here are some shots of my work within the magazine's pages as well, including portraits of Sovereign Grand Commander David A. Glattly (Scottish Rite NMJ), M.W. Roger B. Quintana (Grand Lodge of New Jersey), M.W. Paul F. Gleason (Grand Lodge of Massachusetts) and British author Graham Hancock. Thanks to editor Philippa Lee and the staff at Lewis Masonic for their work in putting everything together, the whole magazine looks great.